But what the small moon is most famous for is their incredible advances in writing and science, featuring a tiny bookshop that has exploded in popularity and has become a main fixture for any Neopet looking to boost their intelligence. With Kau Day quickly approaching this 19th Day of Relaxing, I decided it was time to sit down for an interview with a certain Striped Kau that seems to be mostly hidden from the public eye. One of the largest hotel complexes in Neopia, the Grand Neopian Neolodge, has been a perfect place for pets to stay while their owners are on vacation for many years. 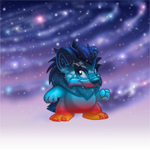 7 Tips To Make Your Skeith The Cutest In Neopia! Here are 7 tips to making sure your Skeith is the cutest pet possible! This guide will go into some tips on buying and selling items and give all Neopians a fair chance at making the Trading Post work for them. Despite the huge amount of people, she felt it had been quieter than usual for some reason.